A pair of Russians have signed two-year contracts with Tinkoff-Saxo, the team announced on Friday. 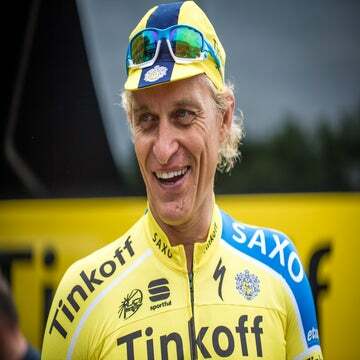 Ivan Rovny and Nikolay Trusov inked the deals with new team owner Oleg Tinkov, for whom they rode from 2006-08 on the Tinkoff Restaurants squad. “I believe Ivan and Nikolay will be valuable members of our team,” team manager Bjarne Riis said in a press release. “Both of them attended our recent training camp in Grand Canaria, and I got to know them as two great guys. Ivan is coming of a strong season on [the Pro] Continental level. I think he deserves another shot at World Tour-level, and I expect he can be a great asset for us in hilly races and a stage races like Giro d’Italia. Rovny, 26, rode for Katusha in 2009 before brief stints with RadioShack, RusVelo, and Ceramica Flaminia-Fondriest. The 28-year-old Trusov represented Katusha, RusVelo, and Team De Rijke-Shanks before joining Riis’ lineup.